Established in 1983 by Patrick Laurent in Pouzol, located in France’s volcanic region, from the very start Xylème Sarl was an original joinery shop, working with wood, aluminium and plastic (PVC). Its founder didn’t want to do exactly the same as many other companies in his region. He decided to purchase standard items, particularly made of aluminium and PVC, from his colleagues. But specific and original items are maintained, produced and enhanced within the company, so as to preserve all of its know-how. As well as producing and installing traditional doors and windows for the construction sector, the company makes its machining centres available for bespoke machining of all soft materials under a joint-contract logic. High quality, precision machining, customised solutions, excellent before- and after-sales service. These are the reasons why Xylème chose Routech. 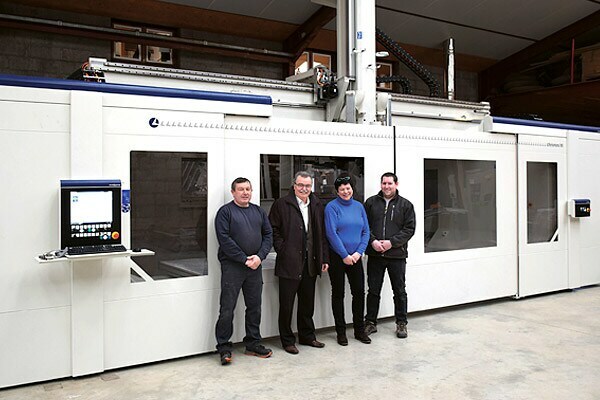 In 1992, aware of the increasing importance of automated production means, Patrick Laurent purchased his first CNC machining centre. It marked the start of a long series of investments: a new machine every 14 months until 2008. Laurent began investing again in 2015, buying the HT version of the Routech Chronos. 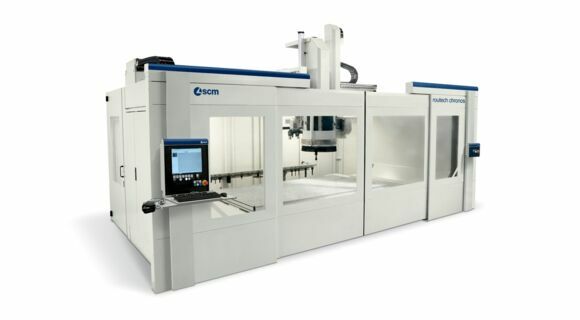 Chronos HT is the highly flexible 5-axis numeric control machining centre developed by Routech, ideal for machining not just wood, but also light alloys, plastic and composite materials. The main features are the large machinable volume, compact dimensions, total operator safety and the cleanness of the environment. Around 58% of Xylème’s business is linked to traditional woodworking mainly requested by private individuals, for whom top quality bespoke solutions are produced. In parallel, 42% of business comes from special machining services performed on behalf of third parties. This side of the business has exclusive use of eight 3-axis machining centres, two 5-axis machining centres, a saw and an edge-bander. Xylème offers a complete service on wood and derivatives, for wood and plastic industries. Half of Xyléme’s clients are POS material manufacturers, others are electronics laboratories, the car industry and the aviation industry. Since the company was started, custom has basically grown by word-of-mouth, thanks to the quality and originality of the services supplied: quick fulfilment of market requirements, the decisive role of service, proximity, contact are aspects that make a difference. High quality, precision machining. Customised solutions, excellent before- and after-sales service. These are the reasons why Xylème chose Routech. In particular, the Chronos HT machining area measures 4200x1560 mm and 800 mm high, for performing 5-axis machining of complex and large components in total freedom. The machining units are rated up to 15 kW with speeds of rotation as high as 24,000 rpm, guaranteeing maximum precision and quality surface finishing.